On the 25th October 2018, MEP Marietje Schaake (ALDE) addressed the issue of the detention of Saudi Shia activist Israa al-Ghomgham in a parliamentary question to VP/HR Federica Mogherini and the EU Commission. On the 25th October 2018, MEP Marietje Schaake (ALDE) issued a parliamentary question to VP/HR Federica Mogherini and the EU Commission on the unlawful detention of human rights activist Israa al-Ghomgham. Ms. Schaake stated that Ms. al-Ghomgham was due to appear in court on the 28th October 2018, after being sentenced to death in a secretive trial in August. Her concern stems from the fact that Ms. al-Ghomgham could be “the first Saudi female activist to face the prospect of execution for acts of peaceful dissent.” Indeed, the charges are linked to her non-violent participation in protests. According to a panel of UN experts, these charges lack any solid legal basis and al-Ghomgham was denied the right to legal representation. Is the VP/HR aware of the case and, if so, will she condemn it in the strongest possible terms? Furthermore, has the EU Delegation in Riyadh been following the trial proceedings? So far this year, 93 people have reportedly been beheaded by the Saudi authorities(1). How is the European External Action Service (EEAS) putting pressure on Saudi Arabia to end the widespread use of capital punishment, often after grossly unfair and politically motivated trials? What action is the EEAS undertaking in response to Parliament’s resolution of May 2018 on the situation of women’s rights defenders in Saudi Arabia? In a reply to Ms. Schaake, VP/HR Federica Mogherini asserted that the European Union is following the case of Ms. al-Ghomgham, along with five other individuals. Furthermore, she highlighted that the EU is concerned about recent reports which show that Ms. al-Ghomgham has not appeared before the Specialized Criminal Court on 21 November 2018 for the third hearing of the trial for ‘illegal protests’ while the five other defendants were present. More broadly, Ms. Mogherini pointed out that the EU has been following multiple cases of activists “allegedly facing the risk of imminent execution on charges relating to the exercise of fundamental rights and freedoms”, and that the EU has been working with the Saudi authorities to seek clarification on the arrest of human rights defenders in Saudi Arabia. To conclude, Ms. Mogherini remarked that the EU will not stop making use of all the diplomatic tools to convey its position on the abovementioned cases. The European Centre for Democracy and Human Rights (ECDHR) welcomes the parliamentary question of MEP Marietje Schaake (ALDE). We share concerns over the ongoing infringements of human rights in Saudi Arabia. As a reminder, on the 1st February 2019, Saudi Arabia has decided not to seek death penalty against Ms. al-Ghomgham. We have learnt about this news with great relief. However, ECDHR calls upon the government of Saudi Arabia to the immediate and unconditional release of all of the detained human rights activists, women, human rights defenders detained in the Kingdom. Lastly, ECDHR calls upon the Kingdom to abolish death penalty and calls upon the EU to continue pressing on Saudi Arabia for more inclusive reforms. Please find below a full copy of the question of MEP Marietje Schaake (ALDE) and the response of VP/HR Federica Mogherini. Question for written answer E-005476-18 to the Commission (Vice-President/High Representative) Rule 130, submitted by MEP Marietje Schaake (ALDE) on October 25 2018. After more than three years in pre-trial detention, Saudi Shia activist Israa al-Ghomgham is due to appear in court on Sunday 28 October 2018, after being sentenced to death in a secretive trial last August. She is the first Saudi female activist to face the prospect of execution for acts of peaceful dissent. The charges brought against her are linked to her non-violent participation in protests and documentation on social media. In October, a panel of UN experts expressed acute concern for al-Ghomgham, saying that the charges lack legal bases and that she was denied the right to legal representation. Is the VP/HR aware of the case and, if so, will she condemn it in the strongest possible terms? Furthermore, has the EU Delegation in Riyadh been following the trial proceedings? Answer given by High Representative/Vice-President Mogherini, on February 5 2019. The European Union (EU) is following closely the judicial procedure in Saudi Arabia involving Ms Israa al-Ghomgham along with five other individuals where — on the basis of the limited information available — the Saudi public prosecutor would be seeking the death penalty for the majority of the defendants. The EU is particularly concerned about recent reports concerning the non-appearance of Ms al-Ghomgham before the Specialized Criminal Court on 21 November 2018 for the third hearing of the trial for ‘illegal protests’ while the five other defendants were present. The fourth session of the trial to take place on 13 January was reportedly adjourned. EU representatives based in Riyadh intend to be present when it takes place. At the same time, the EU is also following with concern several cases of other activists allegedly facing the risk of imminent execution on charges relating to the exercise of fundamental rights and freedoms, including freedom of association and freedom of religion. We have reiterated to the Saudi authorities on several occasions the EU’s position against the death penalty in all circumstances and for all cases. The EU is sparing no effort to engage with the Saudi authorities seeking clarification on the circumstances surrounding the arrest of human rights defenders in Saudi Arabia since May, notably with regard to the specific accusations brought against them. In particular the EU has repeatedly emphasised the relevance of the work of human rights defenders and civil society groups in relation to the process of reform which the Kingdom is pursuing, as well as the importance of respecting due process for all the individuals arrested. 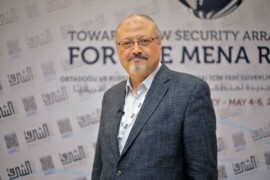 The EU will continue to make use of all the diplomatic tools at its disposal to continue to convey its positions on all these cases as part of its dialogue with the Kingdom of Saudi Arabia.